• H2O Absorption Capacity: 21% wt. • H20 Content (shipped): 1.5% wt. • H2O Absorption Capacity: 24% wt. Molecular sieves, because of their crystalline composition and carefully controlled pore sizes, will yield virtually water-free products. While both the solvent and the water will adsorb strongly to the molecular sieve surfaces, the large surface area within the pores is only accessible to the smaller water molecules, so they are effectively removed from the solvent. From the table below it can be seen that water (1.93A) will enter that 3A pore size while acetone (3.08A) will largely be excluded. Water will be able to occupy the large surface area inside the pores and thus be removed. If the solvent could also enter the pores, it would compete with water for the surface area and there would be little or no removal of the water from the bulk solvent. Type 4A molecular sieve is not suitable for drying ethanol, methanol, or acetone since the pore size does not exclude these solvents. Running the solvent slowly through a column of the molecular sieves would be the most effective way to remove water. Typically though, dried sieves are just placed into the bulk solvent container (about 5%-10% by volume) to remove the water. 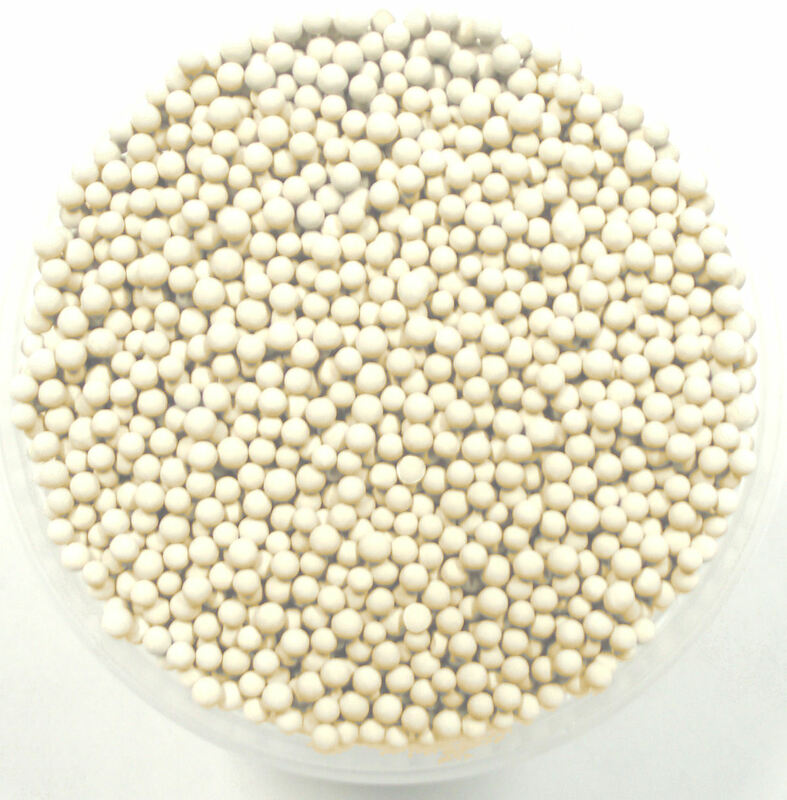 Molecular sieves can be regenerated by evacuating or purging, usually at elevated temperatures. The purge gas temperature must be sufficiently high to bring the molecular sieves to a level of 350 to 450ºF. If adequately regenerated, it is possible to dry fluids to less than 0.1 ppm H20.